post-completion obligations (eg, payment of applicable stamp duty, name changes) are completed. In an auction scenario, a process letter issued by or on behalf of the seller will outline to the potential buyers how the process will be conducted (eg, access to vendor due diligence reports, indicative offers from bidders, detailed due diligence and negotiation of definitive transaction documentation). The transaction will generally take place over a number of months, but the timing and process will be dependent upon the nature, size and complexity of the transaction and the parties themselves. The timetable will also be influenced by any third-party consents that might be required (eg, competition clearance - see question 6). Where a buyer offers to purchase all of the shares in the company and there are dissenting shareholders, the offer can be followed by a compulsory statutory squeeze-out (see question 4). The transfer of shares could alternatively be structured by way of a court-sanctioned scheme of arrangement under the Irish Companies Act 2014 (the Companies Act); however, this process is generally used by public limited companies with a significant number of shareholders. An Irish company can merge with another Irish company using the domestic merger regime provided for in Chapter 3 of Part 9 of the Irish Companies Act. Although the use of this structure is increasing, it is typically used for intra-group transactions and as such is not yet common practice in traditional transaction structures. An Irish private company can also merge with another company incorporated in the European Union using the cross-border merger regime (European Communities (Cross-Border Mergers (CBM)) Regulations 2008 (implementing Directive 2005/56/EC on Cross-Border Mergers, which has been repealed and codified by Chapter II, Title II of Directive 2017/1132 of the European Parliament and of the Council in June 2017) (CBM Directive) (or in an EEA country that has implemented the CBM Directive). In Ireland, a cross-border merger is a court-sanctioned process and is generally used only for high-value cross-border transactions. The Companies Act (as amended) is the primary piece of legislation regulating the affairs of Irish companies. There is a wide variety of other legislation that may be applicable to a particular transaction; for example, competition, employment, data protection, tax and pension legislation. The parties can choose the governing law for the SPA, APA or BTA. The laws of Ireland would typically govern an SPA, APA or BTA for the sale and purchase of shares in an Irish company or of an Irish business. However, it is possible for the contract to be governed by the laws of other jurisdictions (eg, the laws of England and Wales), although this can introduce complexities that do not arise where the governing law is the same as that governing the establishment of the relevant company or business. Where the laws of another jurisdiction are chosen, there typically are the applicable Irish legal requirements in respect of the sale that must be complied with (eg, the transfer of shares must be effected using a prescribed stock transfer form, with board approval and Irish stamp duty must be paid). Legal and beneficial title are distinct interests in Irish law and the nature of the interest being acquired should be specified in the SPA, APA or BTA. Legal ownership of shares is reflected in an Irish company’s register of members (typically the term ‘member’ and ‘shareholder’ mean the same person) and a transfer of the legal interest must be effected by using a stock transfer form in the prescribed form. The holder of the legal title to the shares can be a nominee of a third party who has the right to the economic benefits of the shares. The beneficial ownership in shares of an Irish company can be transferred without updating the company’s register of members. In a private sale of an Irish company, the execution and provision of the stock transfer form is always a completion deliverable under the SPA. The SPA usually also contains provisions confirming the nature of the seller’s interest (legal, beneficial, or both) in the shares. The legal and beneficial interest in other assets can also be held by different persons. The APA or BTA will either operate to transfer the title of the assets on completion (eg, contracts and intellectual property (IP)) or prescribe how the assets will transfer depending on the category of assets, with requisite formalities being specified in the APA or BTA (eg, title to stock would normally pass by physical delivery of the goods). The APA or BTA will also usually contain warranties that the seller is the full legal and beneficial owner of the assets being transferred. Generally, buyers and sellers will agree the number of shares to be sold. Typically, a buyer will want all of the sellers to be party to the transaction documentation. Compulsory purchases of minority shareholders’ shares are possible. Where a private company has multiple shareholders, the constitution of the target company and the shareholders’ agreement to which the selling shareholders are party will typically contain bespoke ‘drag-along’ and ‘tag-along’ provisions that deal with minority shareholders on the sale of shares. Section 457 of the Companies Act provides a statutory squeeze-out mechanism for a buyer to purchase all of the remaining shares in an Irish company where an offer has been made for the entire issued share capital of the company and the offer has become binding, been approved or been accepted in respect of 80 per cent in value of the shares affected and where, on the date of the offer, more than 20 per cent of the aggregate value of the shares is in the beneficial ownership of the offeror, the assenting shareholders hold not less than 50 per cent in number of the shares. Under Irish contract law, the parties to a business or asset sale can generally agree which assets or liabilities are transferred, assumed or ‘left behind’. The European Communities (Protection of Employees on Transfer of Undertakings) Regulations 2003 (TUPE) apply in Ireland so that employees will transfer with the business (on an asset sale) while retaining their existing rights and benefits (including years of service, existing terms and conditions of employment and the benefit of any collective agreements). There are very limited exceptions to these regulations, and attempts to exclude or limit their applicability are void. Both the seller and buyer have information and consultation obligations in respect of the employees (see questions 33 to 35). Whether third-party consents are required to transfer the assets will depend on the transaction and the nature of the assets being transferred (see question 7). There are no restrictions on foreign ownership. However, under the Irish Competition Act 2002 (as amended), it is necessary to notify a transaction and gain clearance from the Irish Competition Consumer Protection Commission (CCPC) where certain financial thresholds are met. The financial threshold in Ireland is met where, in the most recent financial year, the aggregate turnover in Ireland of the undertakings involved is not less than €50 million; and the turnover in Ireland of each or two or more of the undertakings involved is not less than €3 million. The CCPC can investigate the notification in two phases. In an initial Phase I investigation, the CCPC has 30 working days from the ‘appropriate date’ to either clear the transaction or open a Phase II investigation. The ‘appropriate date’ is the date of notification or, where the CCPC makes a formal request for information (RFI) in writing during Phase I, the date on which the RFI is complied with. An RFI during Phase I therefore has the effect of resetting the 30-working-day review timetable. The Phase I period is automatically extended to 45 working days where remedy proposals are made by the notifying parties to overcome competition concerns. In a full Phase II investigation, the CCPC has 120 working days from the ‘appropriate date’ to make a Phase II determination. Provided that the ‘appropriate date’ is the date of notification (and is not reset by an RFI during Phase I) and the CCPC takes the full 30-working-day period in Phase I, Phase II will run for a further 90 working days. However, if the CCPC makes an RFI during the first 30 working days of the Phase II process, the running of the clock is suspended until the request is complied with. The deadline by which the CCPC must issue a Phase II determination may be extended from 120 to 135 working days where proposals to address competition concerns are made by the parties. At the end of Phase II, the CCPC will provide a written determination as to whether the transaction will be cleared (unconditionally or subject to conditions) or prohibited. If the transaction gives rise to a ‘Community dimension’ it may fall within the European Merger Regulation. All ‘media mergers and acquisitions’ must be notified to the CCPC and are subject to an additional review by the Irish Minister for Communications to assess the impact of the transaction on the plurality of the media in Ireland. Other regulatory consents that may be required will depend on the nature of the transaction; for example, a consent is required from the Central Bank of Ireland in relation to certain banking and insurance transactions. Where a target company has multiple shareholders, there may be certain formalities with which a selling shareholder (and potentially the buyer) must comply (ie, pre-emption rights, tag-along rights). Third-party consents are commonly required under contracts in place in the relevant companies (including grant agreements (eg, with Enterprise Ireland, a state body), lease documentation, IP licences and security documentation), and specific consents for the transaction should become apparent as part of the due diligence process. A share sale will require that the contracts to which the target company or its subsidiaries, or both, are a party are reviewed for change of control and termination provisions. In an asset sale, contracts are primarily reviewed to determine whether there are restrictions or consent requirements on assignment. While it will depend on the terms of each contract at hand, the failure to obtain these contractual consents will not generally void the transfer. Rather, there will most likely be a breach of the underlying contract allowing the relevant counterparty to terminate or seek damages. Obtaining the necessary business critical consents in connection with the transaction will usually be a condition precedent to completion under the terms of the SPA, APA or BTA. If there are perfection formalities to be complied with, typically the transfer will complete only when these requirements have been complied with. There are no filings that are required to be made to the Irish Companies Registration Office (CRO) on the transfer of shares (although for private companies, changes in the registered ownership will be reflected in the company’s next annual return filed with the CRO). The buyer is deemed to be the legal owner of the shares once the register of members of the company has been updated to reflect the transfer. The register of members cannot be updated until all relevant stamp duty has been paid (see question 31). Registrations and filings required on the transfer of assets will depend on the nature of the asset (eg, transfers of registered land are required to be registered with the Irish Land Registry with an accompanying fee). The parties usually engage financial advisers (for valuation and strategic financial advice) and accountants (for accounting and tax matters) in addition to external lawyers. Other external advisers may be engaged depending on the nature of the transaction or industry (eg, public relations advisers where the company is listed on a stock exchange or environmental specialists to conduct environmental due diligence). Most professional advisers use their standard terms of engagement, and their fees will depend on the nature and complexity of the transaction. The liability of the adviser is usually capped, and the buyer or seller client will generally be required to indemnify the adviser for losses (with limited carve-outs for fraud, gross negligence, etc). Letters of engagement are usually terminable on notice by either party (although typically there would be a ‘tail’ period for corporate finance advisers). There is no overriding duty to negotiate in good faith under Irish contract law, although parties can contractually agree to do so. Such or a similar duty is sometimes included in a heads of terms or in the SPA, APA or BTA, for example by requiring the obliging party to use ‘reasonable’, ‘all reasonable’ or ‘best’ endeavours in relation to a particular act or obligation. Once this clause is reasonably certain, it can operate to oblige the relevant party to use the requisite level of effort when performing the obligation. The directors of an Irish company have an overriding fiduciary and statutory duty under the Companies Act to act in good faith in what the directors believe to be the best interests of the company. assignment agreements or deeds of novation. There are no formalities involved in executing a document as a simple agreement, provided the relevant person has been authorised to sign the transaction documents on behalf of the company (eg, pursuant to a board resolution). If a document is required to be executed as a deed, this adds an extra layer of formality. Documents are commonly executed as deeds where there is no consideration passing. Additionally, the statute of limitations in Ireland runs for a longer period (12 years instead of the normal six years) in respect of documents executed as a deed. Deeds must be executed by Irish companies under seal in accordance with the relevant provisions of a company’s constitution. This will usually provide that the documents to which the company’s seal is affixed must be signed by a director, the company secretary or another authorised signatory. In circumstances where the company’s constitution is silent in this respect, the relevant provision of the Companies Act requires the deed to be signed by a director, and countersigned by another director, the company secretary or another authorised signatory. The regulatory body for solicitors in Ireland, the Law Society of Ireland, has issued a practice note outlining its guidance in respect of the virtual execution of documents governed by Irish law that draws a distinction between deeds and simple contracts. Digital signatures have been enforceable in Ireland since 2000 under the Irish Electronic Commerce Act 2000 (E-Commerce Act). The current framework for recognition of such signatures is the European Union electronic identification, authentication and trust services (eIDAS) Regulation of 2016, which provides for the mutual recognition of electronic signatures throughout the European Union. There are also provisions of both the E-Commerce Act and the eIDAS Regulation that facilitate the use of electronic sealing. There has, however, been very little use of electronic seals since 2000. The scope and scale of due diligence exercises vary from transaction to transaction. In Ireland, there is a general trend towards limiting the scope of legal due diligence reports to highlighting ‘red flag’ or material legal issues with the target company or business. The materiality thresholds for the reports will be determined by the client with advice from its various advisers. In a bilateral transaction, the legal due diligence report is generally prepared by the buyer’s lawyers. However, in an auction process, financial vendor due diligence reports are generally produced by the seller’s financial advisers, and the successful buyer will be allowed to rely on them. Such reports allow the seller to limit the impact that the financial due diligence process will have on the target’s day-to-day business, and speeds up the auction process as bidders can make quicker (yet informed) decisions about whether they are interested in acquiring the target company, business or assets, and at what price. Vendor legal due diligence reports are relatively unusual. A seller can be liable for pre-contractual or misleading statements, but typically the SPA, APA or BTA will seek to exclude liability for such statements (save in the context of fraud or for fraudulent misrepresentation). details of mortgages and charges over the company’s assets. Details of ownership of real property, including any encumbrances registered against such property, are available from the Irish Land Registry (in respect of registered land) and the Irish Registry of Deeds (in respect of unregistered land). Details of registered IP, including trademarks and patents, can be obtained from the Irish Patents Office. property searches: these include searches in the Irish Land Registry and the Irish Registry of Deeds to ensure that there are no encumbrances or superior title in relation to any property involved in the transaction. The buyer’s ability to bring a claim against a seller is dictated by the contractual terms of the transaction. Generally speaking, the seller will provide customary warranties in relation to the target being sold, and the parties will contractually agree that the buyer may not bring a claim in relation to facts that are fairly and accurately disclosed in a stand-alone disclosure letter. While it is a matter for negotiation between the parties, generally, the SPA, APA or BTA will include a provision setting out that a buyer’s actual or deemed knowledge of factual circumstances will not prohibit the buyer from bringing a claim (ie, if the facts are not set out in the disclosure letter, the warranties are not qualified by those facts). However, in any action taken by a buyer for breach of warranty, an Irish court may exercise its equitable jurisdiction in assessing any amount of damages due to take into account a buyer’s actual or deemed knowledge. Both locked-box structures and closing accounts are used in Ireland. The use of closing accounts to determine the purchase price is more popular in Ireland than the use of the locked-box structure. UK buyers, however, have recently tended to favour locked boxes when doing Irish deals. There are many ways in which a consideration adjustment may be calculated on the basis of closing accounts, including net assets, working capital, cash and debt. The basis chosen will depend on the nature of the target’s business and the basis upon which the buyer has valued it. In many cases, consideration will be adjusted on the basis of more than one figure in the closing accounts. If consideration is to be calculated or adjusted by reference to closing accounts, the basis of the preparation of those accounts is usually laid out in some detail in the SPA. Sellers (particularly private equity sellers) typically prefer locked-box structures as they give certainty as to price and avoid post-completion price disputes (save where the buyer alleges there has been value leakage between the date of the locked-box accounts and completion). Consideration normally takes the form of cash, but there is no restriction on what form of consideration can be used. There is no overriding obligation to pay multiple sellers the same consideration, although all shareholders must be paid the same consideration if the statutory squeeze-out mechanism is to be utilised. In addition, in a scheme of arrangement, offering different consideration to different shareholders will create different classes of shareholders for the purposes of the approval of the scheme. Earn-outs have become increasingly popular in the Irish M&A market over recent years. This is common where a company has been valued by reference to its profit-earning capacity rather than its assets, or where it has only a short track record or has high (but unproven) growth potential. Escrow accounts are typically used as security for subsequent contractual claims by the buyer where the creditworthiness of the seller is in doubt, when the seller is a trustee or where there is a considerable number of sellers. While legally permitted, deposits are rarely used in practice in Ireland. Acquisitions are generally financed through the buyer’s available cash or external bank debt or borrowing. The lender will provide a facility letter to the buyer with details of the loan that may be disclosed to the seller. Acquisitions, particularly by special purpose vehicles, can also be financed or part-financed by equity capital - for example, from a private equity fund - and equity commitment letters will form part of the suite of legal documentation. 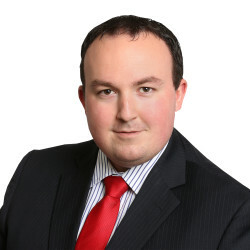 The concept of transactions being financed on a ‘certain funds’ basis has become increasingly popular in private M&A transactions in Ireland, whereby the buyer’s financing of the transaction is unconditional (save for any conditions to the closing of the acquisition itself) and the seller will not accept any form of financing condition to the completion of a transaction. The Companies Act prohibits any Irish company (both public and private companies) from directly or indirectly providing financial assistance for the purpose of an acquisition (by subscription, purchase, exchange or otherwise) of shares in itself or in its holding company. This prohibition can be breached by providing financial assistance by way of a loan, guarantee, security or otherwise, and such assistance is not lawful unless exempted or validated using the summary approval procedure (SAP). The SAP is available only to private companies. If the company’s ‘principal purpose’ in giving the financial assistance is not to give it for the purpose of an acquisition of its shares or if the financial assistance is only an incidental part of some larger purpose, then, provided the assistance is given in good faith and in the interests of the company, it should not be prohibited. To validate the giving of financial assistance via a SAP, the directors of the company will need to make certain declarations (including in relation to the benefit to the company of providing the financial assistance and confirming that the company will be able to pay its debts as they fall due for the 12 months following the giving of the financial assistance). The company’s shareholders must also pass a special resolution (ie, at least 75 per cent of the votes cast by members entitled to vote must be in favour of it) approving the financial assistance not more than 12 months prior to the financial assistance being given and within 30 days of the directors’ declaration being made. While it is possible for transactions in certain circumstances to be signed and completed simultaneously, most transactions will be subject to a number of conditions to closing. For example, a transaction may be subject to merger control or other regulatory consents in Ireland, the EU or in other jurisdictions that must be obtained before the relevant transfer can be completed. that the warranties remain accurate at completion. However, these ‘asks’ are typically resisted from the point of view of deal certainty. Where there are conditions to completion, the parties are usually obliged to use all reasonable endeavours to satisfy these conditions. The parties may agree to use their ‘best endeavours’, which would increase the burden on them to ensure that the conditions are satisfied. If the seller has a particularly strong bargaining position (eg, in a competitive auction process) it may, typically as regards competition clearance, seek to impose a ‘hell or high water’ obligation on the buyer to satisfy the conditions, whereby the buyer must do whatever is necessary to satisfy the conditions (eg, comply with any and all conditions to which a regulator’s consent is subject). entering into contracts other than on arm’s-length terms. Typically the parties cannot terminate the transaction after signing unless one of the conditions to closing is not or cannot be satisfied in advance of an agreed long stop date. The buyer may seek to include a material adverse change clause that gives the buyer a right to walk away from the transaction prior to completion if certain specified events occur that are detrimental to the target company or business, but the inclusion of such a clause will usually be strongly resisted by the seller. While legally permitted, break fees and reverse break fees are not common in private M&A transactions in Ireland. In agreeing to a break fee, the directors of an Irish company will need to be mindful of their fiduciary duties to act in the best interests of the company. Warranties and indemnities are typically given by the seller, but the extent and nature of the warranties and indemnities will be dependent upon the relative negotiating positions of the parties and the results of the due diligence exercise. A seller may resist giving representations for the reasons set out below. financial information of the target company or business and the basis of its preparation. The scope of the warranty package will depend on the relative negotiating positions of the parties. For example, in a competitive auction process, the seller will offer a much more limited set of warranties than one would expect in a bilateral ‘exclusive’ transaction. A seller may resist giving a ‘representation’ about the accuracy of the above information. This is because it could give the buyer a separate cause of action in misrepresentation if this information turned out to be untrue. The buyer could recover damages in an amount equal to what the buyer would have enjoyed if the misrepresentation had not been made (note that this may be more beneficial than the amount of a damages award in a breach of warranty claim); or rescind the contract. If the due diligence exercise uncovers specific risks that are a concern to a buyer it may seek an indemnity from the seller, as the buyer may not be able to succeed in a warranty claim in respect of matters of which it was aware at the time of the acquisition (eg, the outcome of an ongoing regulatory investigation or a known environmental issue). The buyer should then be able to claim under an indemnity from the seller on a euro-for-euro basis if the risk materialises notwithstanding its knowledge. obligations on the buyer to use other available remedies in the first instance (ie, an insurance claim or a claim against a relevant third party). the aggregate liability of the seller in respect of warranty claims in being capped at an agreed amount. The indemnities are usually not subject to the financial limitations set out above. The seller’s total liability under the SPA, APA or BTA is usually capped at an amount equal to the consideration. 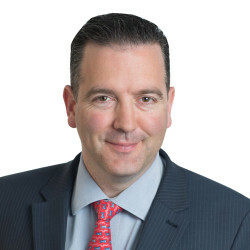 Insurance for warranty claims is becoming increasingly common in private M&A transactions in Ireland (particularly in transactions with private equity sellers who are not willing to give warranty protection to the buyer in relation to the target company or business). The most common type of policy is taken out by the buyer to insure against losses suffered as a result of a breach of warranty. A seller can also be insured for losses it suffers as a result of a buyer bringing a successful claim against it for breach of warranty. There is usually an excess on the policy (typically 0.5 to 1.5 per cent of the consideration) and premia for these policies are generally within 1 to 2 per cent of the policy limit. Losses arising from matters disclosed in due diligence reports, transaction documents and the data room are generally excluded, along with fraud on the part of the insured. It generally takes two to four weeks for the insurance to be put in place; this involves a review of the transaction documents, the negotiation of the policy terms and, on buy-side deals, due diligence by the insurer’s advisers. Parties often agree to a limited number of post-closing covenants; for example, non-compete obligations and prohibitions on the seller hiring certain senior employees from the target company or business. Competition law considerations will often apply to post-closing covenants, and so they tend to be for a finite period (eg, 24 months) and limited to agreed geographic boundaries. Stamp duty arises on a transfer of shares in an Irish company at a rate of 1 per cent of the higher of the consideration or the market value of the shares transferring. This is payable by the buyer. In a business or asset transfer, certain classes of assets are subject to stamp duty at 2 per cent on transfer. This is payable by the buyer. Stamp duty can be reduced to zero where assets capable of passing by delivery are passed by delivery rather than pursuant to a written document. No value added tax (VAT) arises on a transfer of shares in an Irish company. VAT can arise on a transfer of a business or assets. The person liable to pay or account for VAT can depend on where the assets or each party, or both, are situated. Relief from VAT can apply on a transfer of business where the business or assets are transferred to an accountable person for VAT purposes, and the business or assets constitute an undertaking or part of an undertaking capable of being operated on an independent basis by the transferee. Capital gains tax can arise on a disposal of capital assets. In the case of a disposal of shares, a participation exemption from capital gains tax may be available where certain conditions are met. While the employment status of a target company’s employees is generally not impacted by a buyer acquiring the shares of a target company, proper diligence on a target company’s employment agreements is recommended to identify if such a transaction will trigger a right for any individual employee. Where a buyer acquires a business or assets from a target company, the situation can be more complex as Irish TUPE regulations will typically apply. The effect is that all the rights and obligations of the target company under a relevant contract of employment (including terms inserted by collective agreements), other than certain rights under pension schemes, existing on the date of transfer are transferred to the buyer on the transfer taking effect. Outside the specific terms of a collective agreement or other contractual obligation, such obligations generally arise only where the TUPE Regulations apply. The TUPE Regulations oblige a target company and a buyer to inform the representatives of their employees affected by the transfer of certain prescribed details about the transfer. Such notifications must be given not later than 30 days before the transfer takes place. If, in connection with the transfer, measures (such as redundancies, changes to the place of work, changes to the staffing structure) are envisaged in relation to employees, the TUPE Regulations require that a consultation must take place with employee representatives not later than 30 days before the transfer takes place. Employees’ rights to old age, invalidity or survivors’ benefits under a pension scheme are specifically excluded from automatic transfer under the TUPE Regulations. Specific contractual commitments in an employment agreement relating to these rights may automatically transfer, however, so proper diligence on a target company’s employment agreements is always recommended. Where there is a pension scheme in operation in a target company at the time of the transfer, the TUPE Regulations provide that the protections afforded by the Irish pensions legislation apply to that pension scheme (ie, accrued benefits are preserved). If a relevant pension scheme is outside the scope of the Irish pensions legislation, the TUPE Regulations place a buyer under an obligation to ensure that rights conferring immediate or prospective entitlement to old age benefits, including survivor’s benefits, are protected. The rights of a target company’s employees in respect of pensions and other benefits are generally not impacted by a buyer acquiring the shares of a target company, but the specific structure of the pension scheme arrangements in place needs to be considered. Depending on that structure, the execution of deeds enabling the ‘transfer’ of (or disassociation from) a pension scheme may be required. This may involve obtaining the consent of the trustees of the pension scheme and the approval of the Irish Revenue Commissioners. No filings are required beyond any routine filings that arise from specific changes to the administration or structure of the pension scheme. While the Irish economy is expected to grow by 4.7 per cent. in 2018 and 3.8 per cent. in 2019, which is ahead of most eurozone countries, the risk of a hard Brexit and what it would do to the Irish economy continues to cause significant uncertainty in the M&A market. It could take a number of years for clarity to emerge as the situation and negotiations appear to be entirely fluid. What was extremely unlikely a few months ago - a hard Brexit - is now a possibility that Irish companies and businesses are actively preparing for. In the meantime, it is clear that some inbound investors might choose to delay investment decisions until there is more clarity on how the Irish economy, which is intrinsically linked to the UK economy - our largest trading partner - will be affected by Brexit, especially if there is ‘no deal’ or a ‘hard Brexit’. One of the effects of the Brexit uncertainty is that, with regard to targets in certain industries fundamentally linked to the UK economy, there can be a disconnect between sellers’ and buyers’ expectations as to valuation. To bridge this, earn-outs are not just becoming a customary deal term, but they are becoming customary for a much more significant part of the overall purchase price than was previously custom and practice. Another notable trend in Irish M&A deals is the continued growth in the use of warranty and indemnity (W&I) insurance. Leading the way with this product is the financial investors, both international and domestic, who invested in Ireland during the downturn as they begin to exit their investments. As the insurance companies have refined and improved their offering in the area, other sellers who in the past would have given warranties, are now seeking to have their exposure reduced (or eliminated) by requiring the buyer to put in place W&I insurance (although buyers will typically pass on the cost to the sellers via a lower purchase price). 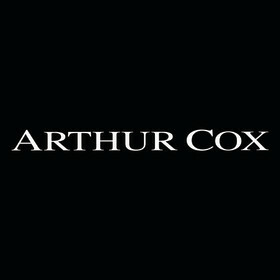 Arthur Cox is widely regarded as the leading law firm in Ireland. We are one of Ireland’s largest and most innovative law firms. Today, the firm has over 500 legal staff, including almost 100 partners and a total staff of over 850.